Looking around plaid pattern is in this Christmas and I’m jumping onboard and going with it! I actually purchased a plaid long sleeve top recently which I’m kinda in love with and I’ll be wearing that bad boy many times over the coming months! 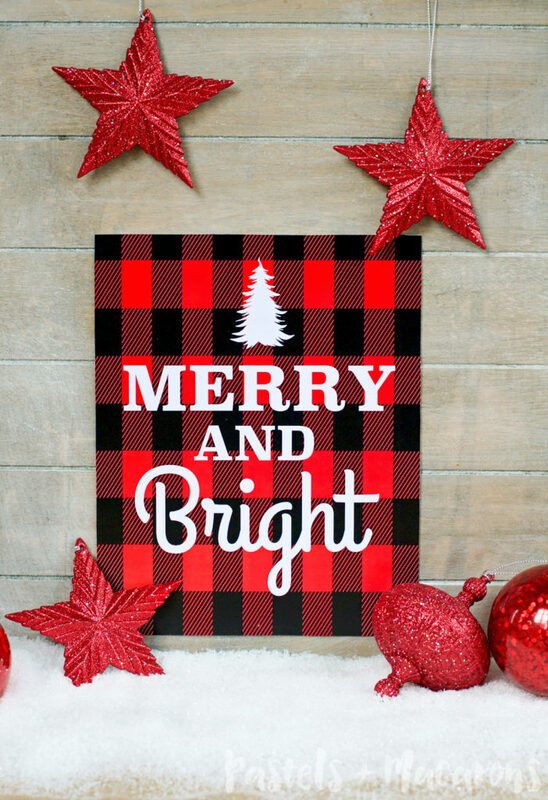 So I made this Free Plaid Christmas Printable for you all and then decided to make a few other colours incase you’re not plaid crazy! Something for everyone. We put up our Christmas tree recently and my very white christmas tree is adorned with these pretty, glittery red ornaments. I wanted something bright and red to go with my tree and thought the red plaid look would be perfect. Next year I’m hoping to have a green Christmas tree and go a lot more rustic but for now I have to work around my modern white tree which I’m no longer in love with. In saying that I’ve fallen in love with this print and I hope you guys love it also. You can download the individual ones you like or go nuts and download the lot. I also LOVE the white and gold print. So pretty. 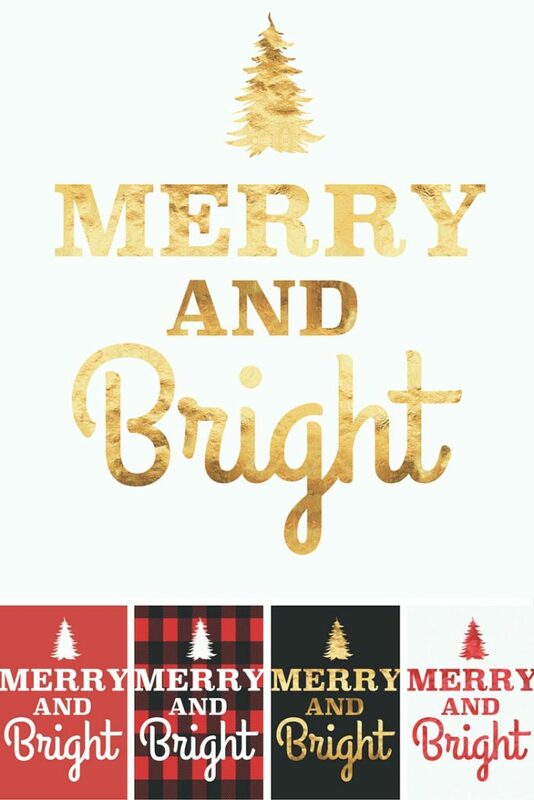 They all say Merry And Bright and it’s just the colours that differ. Can’t wait to show you guys all of the other free goodies I’m designing for you to download this Christmas! Hoping I’ll find the time to complete all of my projects. In the meantime my boys are breaking all of the delicate ornaments on my Christmas tree so I’m considering making some cheap, heavy duty ornaments that they can’t break but still undecided as to what look I want. I love this plaid one! I got a plaid dress a little while ago. Plaid is definitely popular right now, and I love it! Thanks Chelsea! I’m totally into it right now! Certainly popular and I hope it’s popular next Christmas also because I have big plans for plaid and next year… if not then I will be totally unfashionable 😛 haha. I love the plaid, but the white and red watercolour is a close second. Thanks for sharing on the #HomeMattersParty . I hope you will join us again next week. What a cute printable this is – I’ve got to get on the printable train these are so fun! Thanks for sharing this, I can’t wait to print and display in a cute frame at home. How pretty. I love anything plaid. That would look really cute by my tree. I love the plaid! Thank you so much for sharing your printable! These would look great framed and hung on the wall! …or maybe as a gift? 🙂 Lovely idea. Love this! Definitely going to print one out for my wall! Thanks for sharing! Thanks so much Christine! You’re so lovely. Appreciate the feature! I love these. I can’t decide between a few of them, so I’ll probably print off the plaid and one of the red and white. 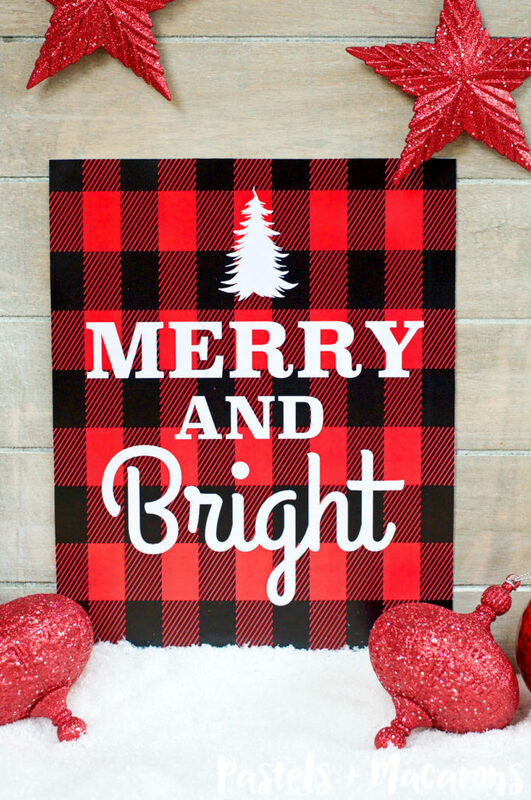 Thanks so much for sharing your cheery Christmas printables — I love them all! Merry Christmas to you! Thank you Cynthia 🙂 Merry Christmas! This is beautiful! I love the red and black tartan print! I love the plaid! Thanks for sharing. This is an amazing idea! Thanks for sharing. Hi, I’m Anita visiting from Creativity Unleashed Link Party. The printable doesn´t work for me. Can you please help!! I like them so mutch. Only a empty page is showing!! Hi Bridgette, I am so sorry I did not reply to this earlier. Somehow it got lost in all the comments and I didn’t see it until now! I am so sorry! I checked and it is working for me. Did it work for you? If not I can email you the ones you like but unfortunately you won’t be able to use them until next Christmas. Once again, so sorry!